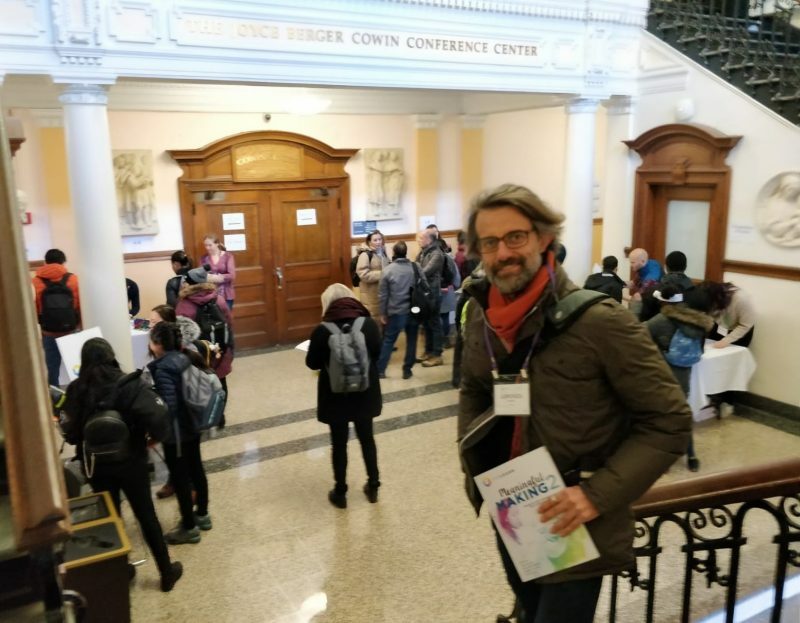 The 8th edition of the international conference “FabLearn 2019” took place in New York in March. 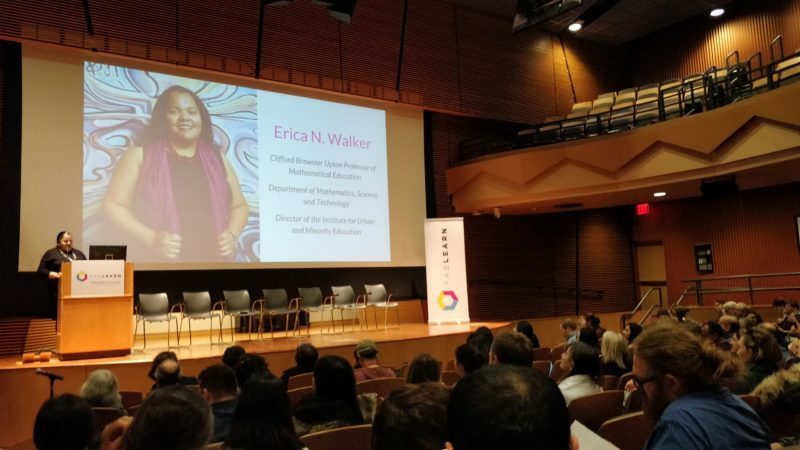 The subject of the two-day event was to delve into the possible role undertaken by Maker pedagogy in a world like ours that poses huge social and environmental challenges. Our researcher, Lorenzo Guasti, was present at the New York conference and took part in the panel Making around the world: Experiences and lessons learned moderated by Tamar Fuhrman, researcher of Columbia University. Guasti presented to representatives from all the continents in the marker sector the three researches in which he was involved with the Indire research group: 3 D printers at school with the new method IDeAL (see the article). The hydroponic greenhouses at school and Maker spaces at school. Most of the proposed papers offered food for thoughts on how the Maker movement can combat the menaces which risk causing “global chaos”. Paulo Blikstein, founder of FabLab@School – Digital Fabrication for Education (Stanford University) now professor at Columbia university’s Teachers College has always been sensitive to the theme of sustainability and in these years has invested much energy to raise awareness about the themes of environmental sustainability, ecology, recycling and environmental ethics in general among the members of the maker movement. The opening keynote was given by Sylvia Martinez – author of the volume Invent to Learn, by now, a sort of bible of the maker at school movement – took into consideration these aspects emphasising that one of the next challenges for the future will be to manage in an ethical way the development of biology, by positively driving the movement of Do It Yourself Biology. This is a much debated theme that accounts for the shifting of the operative modalities and concept of the makers from the environments of electronics and information technology to those of biology, pharmaceutical research and genetic engineering. As it has happened in the past with computers, in the future accessing to tools operating for example in the area of genetic therapies will be more immediate and economic, therefore it is indispensable that this democratisation process happens in an ethical and sustainable way. A considerable number of papers, short papers and posters have shown projects, coming from all over the world, concerning Fablab and Maker spaces centred on these themes. 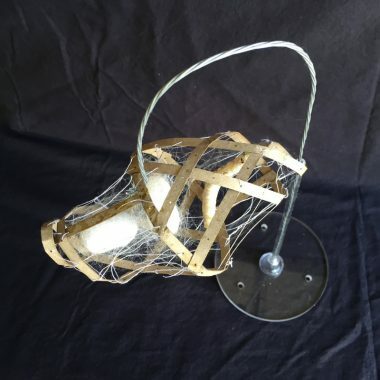 For example Corinne Okada of the Nest Maker Space showed how it is possible – and sustainable – to create artistic objects by growing fungi, molds and bacteria in the laboratory, through totally biological processes. Another very much discussed topic of this edition of FabLearn, and at the same time very close to the topics covered by Indire, was that concerning the study and development of didactic methodologies based on design cycles. Among the many short papers in the programme we cites as example the two models “Educating Change-Makers: A Framework for Sustainable Making and Activist Engineering” by Kelsey Reichenbach and Brandon Reynante and “Ideate, Evaluate and Share – An Innovation Process Model for Educators “by Raini Sipilä, Kati Sormunen and Tiina Korhonen (find the abstracts here). The paper session on the theme of the maker pedagogy and on the school maker spaces was also rich. Among all, two interventions appeared very interesting: Sorry, I Was in Teacher Mode Today “: Pivotal Tensions and Contradictory Discourses in Real-World Implementations of School Makerspaces by Fabio Campos, Tatiana Soster and Paulo Blikstein and What Are the Learning and Assessment Objectives in Educational Fab Labs and Makerspaces? by Yoav Bergner, Samuel Abramovich, Marcelo Worsley and Ofer Chen (find the abstracts here). There were also numerous and interesting thematic workshops, poster sessions and the “demo” session during which some very young student-Makers, also from primary school, presented their works. As it happens on these occasions, many of the best things happened at informal moments when researchers from around the world met, exchanged their experiences and laid the foundations for future collaborations.